Patrice Desilets and the developers at Ubisoft Montreal had a keen eye for creative application of history when originally conceiving the “historical fiction action-adventure open world stealth video game” Assassin’s Creed. 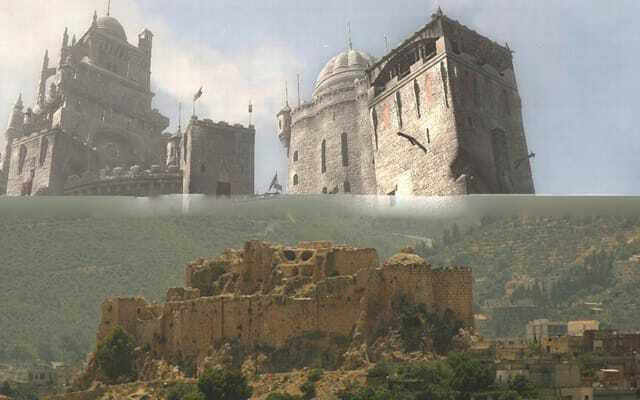 The real Masyaf Castle, as featured in the game and its sequels, housed Rashid ad-Din Sinan and his radical Islamic sect known as the Hashshashin. Sinan and other Hashshashin leaders referred to their followers as Asasiyun, which later became the English word “assassin”. Not surprisingly, the Hashshashin of Masyaf performed the functions associated with the word “assassin” during the time of The Crusades. The rabbit hole goes deeper, but suffice it to say that Ubisoft did its homework, and the curators of the Masyaf Castle ruins can expert gamer pilgrimages to follow.